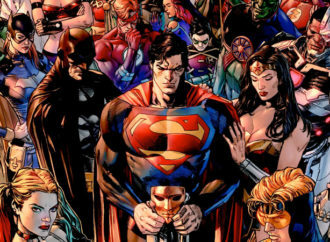 For anyone in the U.S. comics and pop culture scene over the past ten or fifteen years, the increasing prominence of manga has been impossible to ignore, and the question of why manga should suddenly have taken off in the States around the turn of the millennium after decades in which it played no appreciable part in either the U.S. comics or book publishing industries, almost immediately became a subject of spirited debate amongst people in the comics, publishing, and academic worlds alike. 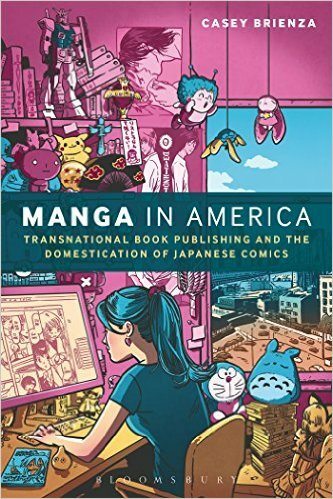 In Manga in America: Transnational Book Publishing and the Domestication of Japanese Comics (Bloomsbury Publishing, 2016), sociologist Casey Brienza tackles this question head-on and, via an ethnographic study of the people involved in the U.S. manga industry, offers a convincing answer. There are a lot of canards that have floated, unchallenged or challenged ineffectively, about the explosion of Japanese pop culture on the global scene over the past twenty years or so, and one of the pleasures of Brienza’s book is her methodical skewering of some of the hoariest of these. In Manga in America, she argues that “roiling beneath the obfuscating cover stories of [manga as] ‘air,’ ‘conquest,’ and ‘export’ is the rapid transmission and transformation of professional practice from Japan to the United States and back again, driven by cooperative, as well as competing, individual and collective desires and agendas” (9). 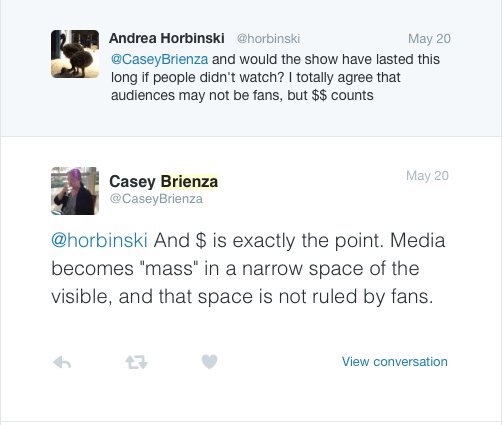 In other words, for Brienza, rather than replicate the error of all these viewpoints, which in her summary “attribute manga’s success to the peculiar and unique properties of the medium itself,” the unlikely success of the U.S. manga industry and its transnational publishing process comes down to the people involved in it, past and present. 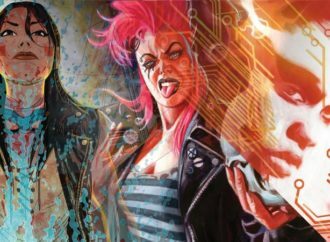 There are a lot of canards that have floated, unchallenged or challenged ineffectively, about the explosion of Japanese pop culture on the global scene over the past twenty years or so, and one of the pleasures of Brienza’s book is her methodical skewering of some of the hoariest of these. Brienza terms the process of publishing manga in the States “domestication,” which she defines as “the transnational production of culture, and a transnational value chain is a domestication chain” (37). Thus, she’s staking the book’s value to the discipline of sociology on her definition of domestication, which she contends “is different from national or global cultural production” because it is “not merely textual translation from one language to another or straightforward importation of objects from one country to another—but rather a complex, organized, collective process” (37-38). As a reader of the book and a consumer of the media she’s documenting–and in particular, since I read most of my manga in Japanese–her definition of the process, and her emphasis on the changes that “manga” undergoes as it is transmuted from Japan to the States, and from the States to other parts of the world, seems apt. 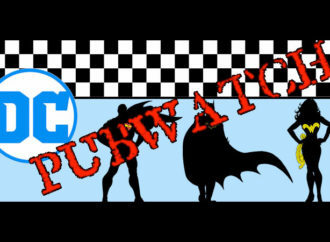 If there’s one thing that looking at comics cultures in Japan, Europe, and the States makes clear (or even just comparing so-called “mainstream” comics to graphic novels and indies here in the U.S. market), it’s that things like publishing formats and price points have real, material effects on who reads these things and how they do so. The bulk of the book consists of Brienza’s taking the reader through the phases of that process, drawing on her ethnographic work, academic studies of the publishing industry, and various insider accounts: she starts with overviews of Japanese and U.S. book publishing, recounts the various typologies of the founders of U.S. manga publishers (briefly: the Evangelist, the Opportunist, and the Specialist), goes into the transnational publication process in detail, and finally looks at some of the new (as of 2012) models of manga publishing that arose after the Great Recession and the demise of Borders, the bookstore chain that (among many other things) played the largest initial role in the popularization of manga in the States. It’s important to be clear about what Manga in America is and isn’t—as Brienza herself says in the introduction, it’s a “specialized case study of transnational cultural production situated within the academic discipline of sociology,” which most likely accounts for some of the things whose presence or absence felt notable to me. Not being a sociologist myself, I’m resigned to not fully caring about the bulk of the review of the sociological literature on transnational publishing and to not understanding the need to quote the 19thC French sociologist Pierre Bourdieu frequently, particularly since it seems that he was mostly wrong, or Brienza’s reliance on academic studies of publishing when accounts from people in the industry are just as readily available online and are much more current. Similarly, as an academic work of sociology I can’t fault Manga in America for its refusal to engage substantively with the question of how the U.S. manga industry, and manga in America in general, has or has not changed the U.S. comics industry (I would argue: a lot), though there were certainly moments when I wished it did. On the flip side, the fact that the book doesn’t do this just means that there is still scope for later scholars to follow in Brienza’s footsteps and expand her insights, much as Brienza herself does with Jennifer S. Prough’s Straight from the Heart: Gender, Intimacy, and the Cultural Production of Shojo Manga (University of Hawai’i Press, 2011), an anthropological study of shojo manga publishing in Japan that is frequently invoked in this book. And, regardless of the review of the sociology literature, Manga in America is a trenchant, plain-spoken book that should be accessible to just about anyone who’s interested in the subject matter. I have to applaud Brienza’s willingness to eschew jargon for jargon’s sake, which is too often a problem with academic books tackling even the most popular topics. Manga in America is a very focused book. 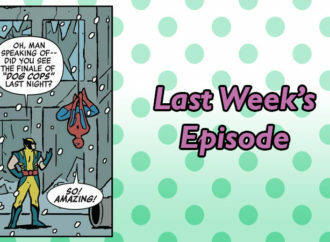 When I started reading it I remarked on Twitter that I hadn’t realized one could tell this story without talking very much about the fans—by whom I mean, in a very general sense, the audiences, the people who buy and read the books, the product—but Brienza’s focus on the production side of the U.S. manga industry definitely pays off. She herself told me on Twitter that she thinks that the sociological paradigm is the best method for telling this story; putting the question of what “best” means aside, it’s certainly true that her ethnographic method yields more than a few bombshells, and not just of the industry gossip variety. As a historian in the year 2K16 I am very much a historical materialist, which is to say I believe in following Uncle Karl’s example and the money, and I also believe that power can never be ignored in any analysis. Brienza’s method, like Jennifer S. Prough’s, means that she pays somewhat less attention to the money than I would like, but given the extreme ups and downs in the manga industry that Brienza’s 15-year tranche covers, to some extent the money takes care of its own story in the text because the industry’s fortunes are so closely tied to economic fluctuations and factors. 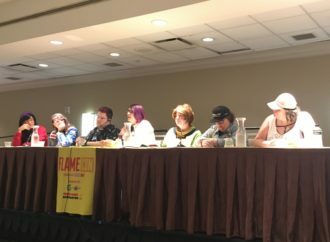 Brienza herself draws some trenchant conclusions about the intersection of gender, power, and race in the U.S. manga industry, and in particular about the question of what drives its overwhelmingly white and female (which is to say, by definition overworked and underpaid) staff to stay in this rather nakedly exploitative industry. They do it for love, they say and we’re told, and certainly, there’s an element of truth to that. But love of what? Brienza herself draws some trenchant conclusions about the intersection of gender, power, and race in the U.S. manga industry, and in particular about the question of what drives its overwhelmingly white and female (which is to say, by definition overworked and underpaid) staff to stay in this rather nakedly exploitative industry. They do it for love, they say and we’re told, and certainly, there’s an element of truth to that. But love of what? Drilling down on that question is more important than ever, because too often “love” is either valorized as the opposite of money, or allowed to pass unquestioned, both of which aren’t honest answers in these days of late post-Fordist capitalism. It’s not like love and other emotions can’t be or aren’t fuel for capitalism; indeed, these days, they’re the primary means of capitalism, the means by which we’re all motivated either to buy things or to work harder for the company. 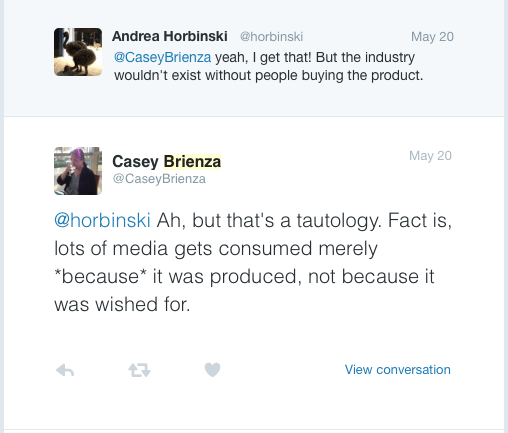 As Brienza puts it, “Clearly, the culture industry imperative to make consumers to buy more and ever more products has become inextricably intertwined with the integrity of one’s sense of identity. It is, in short, the neoliberal ethos at its finest—the organization’s capitalist ambitions made personal” (133). In this respect, Brienza’s refusal to leave love unexamined, which she signals in the introduction and pays attention to throughout, is extremely valuable to the field of anime and manga studies in particular, and to the study of pop culture in general. It also dovetails with emerging developments in the former specific field, particularly Anne Allison’s (relatively) recent Precarious Japan (2013, Duke University Press), which have explored how affective labor–the work of emotions–in Japan and in late capitalist societies generally increasingly powers the economy even as it goes unremunerated. As for the question of what that love is for, Brienza concludes that it is for, in plain terms, power and control—“imposing their will upon the manga text” (132), she says, discussing the belief among translators that their version is automatically the best. Moreover, Brienza concludes of the domesticators of the U.S. manga industry overall, “their desire for power over the text” is part of “a daily struggle for control over the Japanese text with the Japanese people, and this desire for control has been effectively harnessed by the American manga industry to produce manga which suits the market cheaply” (135). In other words, it’s exploitation all the way down, and Brienza argues persuasively that “domestication on this scale would simply not be possible without these sorts of people—period. Their youth, precarious employment, and femininity are no mere side effects of late modernity, neoliberalism, or unregulated capitalism; they are, rather, absolutely necessary for the process to continue effectively” (ibid). As the kids on tumblr say these days: boom. It’s interesting to read Manga in America as a product of the very publishing industry which Brienza discusses in its pages, and in particular this meta angle makes it easier to spot some of the ways in which the realities of publishing meet the ideals of writing good books and good scholarship. The same cost-cutting pressures in the publishing industry that she identifies at work in the post-2008 manga industry crunch are behind, I suspect, the sometimes glaring collision of typos and Britishisms in the manuscript; like so many books published these days, Manga in America could have used another copy-edit before it was handed over to the printer. For that matter, many of the same pressures to make it big in America that led Kodansha to capitulate to the expectations and ways of doing things in the U.S. manga industry are what led Brienza’s publisher Bloomsbury, a venerable player in the U.K. publishing world, to open its own local subsidiary in the United States in 1998. 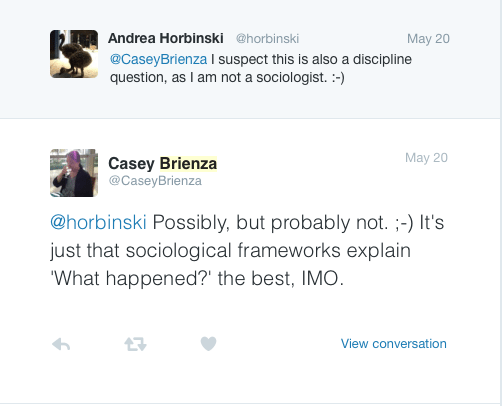 Brienza remarks at several points in the text that she sat down for final revisions in 2012, which is a whole four years before the publication date of the book sitting on my desk as I write this. I would have really loved to get her perspective, informed by her ethnographic work, on the changes in the manga publishing industry since 2012. In particular, the whiplash-inducing speed of the changes in the conversation around ebooks and independent bookstores in American publishing (briefly: ebook sales are flat, independent bookstores are back—or at least that’s the buzz) mean that parts of her analysis now seem to be somewhat unfortunately of the moment. 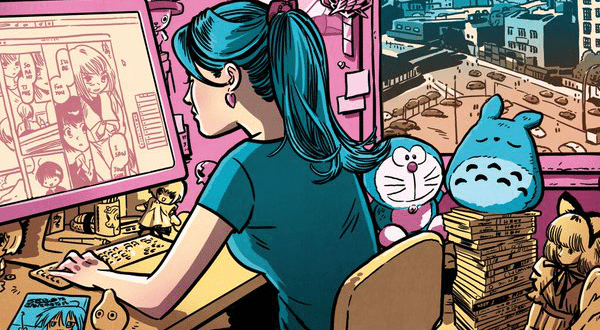 For that matter, the book’s striking and awesome cover, which depicts a freelance manga industry professional working from home in sight of the Brooklyn Bridge, is equally of its time in more ways than one: not only are many of the anime and manga references in the image dated to roughly the mid-2000s or earlier, it’s impossible to believe that a freelancer could afford premium housing in Brooklyn these days. I can only hope that Obamacare has enabled the myriad American freelancers she interviewed who chose to forgo health insurance to find affordable coverage, but I have my doubts. Brienza concludes her book with the argument that “perhaps the future for the domestication of manga is to make manga in Japan more American too,” and four years on, it’s hard not to conclude that she’s probably right. Certainly this strategy underlays the expansion plans of Netflix and Crunchyroll in Japan, through increased direct partnerships with the players in the Japanese contents industry responsible for anime production; Crunchyroll has also started to get into manga, and its own corporate history in many ways runs in tandem with some of the developments Brienza tracks in the U.S. manga industry. Comixology has apparently also finally realized the pipe dream of bringing translated versions of manga magazines like Weekly SHonen Jump to the States in a profitable, or at least sustainable, manner. But the most important insight Brienza offers about manga in America applies beyond it as well: that the process of domestication—how it’s constituted and that it exists at all—is anything but natural or inevitable. Instead, it’s made by humans and (like capitalism itself) can be shaped by them as well. 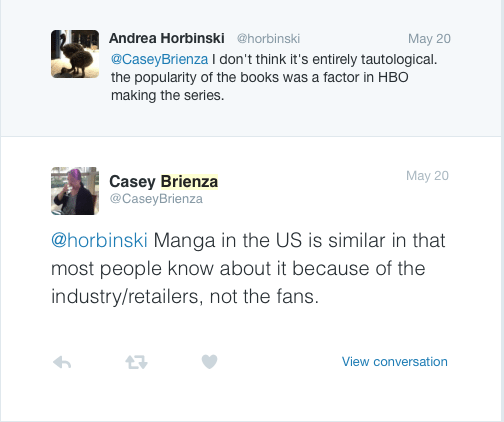 Even during Brienza’s ethnographic research industry players told her stories about manga that were continued in Japan because they sold in the States, and rumors and confirmed statements about changing various aspects of popular manga such as Naruto to cater to prospective American audiences continue to grow. 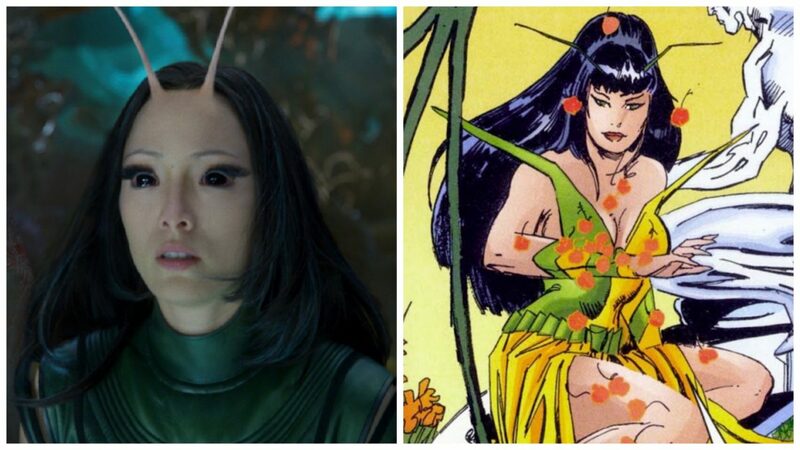 Although manga and anime professionals have pointed to the lack of benefits and low salaries for manga and anime creators as the driver of such developments in conversations with me, it’s also easy to read the widely decried trend for whitewashed Hollywood movie adaptations of classic anime as a (boneheaded) attempt to retool Japanese contents industry products to make them more palatable to a “global” (for which read, white U.S.-ian) audience. Brienza’s work makes plain that the famously insular Japanese contents industry has already been influenced by its American counterparts, and as the Japanese population continues to shrink, it’s hard not to think that the pressures to find profits beyond Japan will continue to grow. Whether this process or its end results will be “good” or “bad” is a question that’s difficult to answer at this point, partly because there would be no consensus on how to define those qualities. I think that most manga fans would at least say that being able to read manga in English is pretty great, since it’s not reasonable to expect that everyone learn to read Japanese. But the most important insight Brienza offers about manga in America applies beyond it as well: that the process of domestication—how it’s constituted and that it exists at all—is anything but natural or inevitable. Instead, it’s made by humans and (like capitalism itself) can be shaped by them as well. No matter where manga in America go from here, Brienza has done every manga fan a service by laying out so clearly the stakes and the consequences of the production of the medium we love.